‘All my musical life is here,’ Catrin Finch says of Tides, her first record to be entirely made up of her own compositions. Finch’s musical life has seen a vast array of world-wide performances, festival appearances and collaborations, and Tides is a record with an international scope. The influences are diverse, and Finch employs collaborators plucked from world music. ‘Desert Shadow’ features Belinda Sykes’ Arabic-style vocals and duduk playing, and Romanian Bogdan Vacarescu lends lively violin to ‘Barometer Rising’. This latter collaboration is a particular highlight of the album, producing a loose and joyful tune that’s part Nordic folk tune and part improvisation. As the album’s title suggests, Finch also draws on the natural world. ‘Migration’ conjures murmurations of birds through soaring strings and light, swift harp. The song’s structure suitably dives and rises, through strong chord sequences, from dissonance to resolution. Though other subjects are less stirring – ‘Clear Sky’ and ‘Drifting’ are as tame as their premises and never feel like they are reaching for, or will reach, anything more than pleasant listening. ‘Aurora’ is an interesting mid-point to the album. Finch deconstructs her song writing to meandering harp echoed by a distant vocal. The whole track is drenched in reverb, otherworldly feedback, and a gently rumbling bass note that hints at something deeper and darker running below the surface. The breathy, sultry ‘Desert Shadow’ elaborates on this moodiness, featuring an intelligent blend of exotic instruments, with Finch’s harp offering a welcome brightness shining through the mix. This is what Finch does best: she pursues an active mood and realises it expertly. The closing track, ‘Utopian Dreams’, is at times soaring, but also faintly ridiculous in its bombast as it brings together an ambitious range of instrumentation. Strings, duduk, harp, varied percussion and the Côr Caerdydd Choir all feature within its four-and-a-half minutes of play time. This ensemble piece feels bloated. The hand claps in the final movement in particular feel a step too far and sound like they have been recorded in a different place and at a different time. This may seem like nit-picking, but it’s the attempt to make the composition sound epic that ends up causing it to fall flat. Tides begins and ends with the ticking of a metronome. Presumably this is to evoke the image of Finch sitting at her piano first sketching out these compositions. The album, however, through its restless sampling of world music and self-conscious touches like the metronome, seems to actively ask the question who is Catrin Finch the composer. But without ever treading into risky or introspective territory that might have produced a truly exciting, new direction, the question goes largely unanswered. It’s an album that sparks to life with guest performances, but otherwise too often feels safe, controlled and collected. Perhaps it was a question that didn’t need to be asked. It’s strange to be speaking in terms of debuts for such a seasoned artist, but this is a kind of debut, after all. In a way this is a missed opportunity to embrace some of those most endearing characteristics of debuts: uncensored energy, and brave, happy accidents. Instead, Tides is a poised and polished beginning, but not a rebirth. 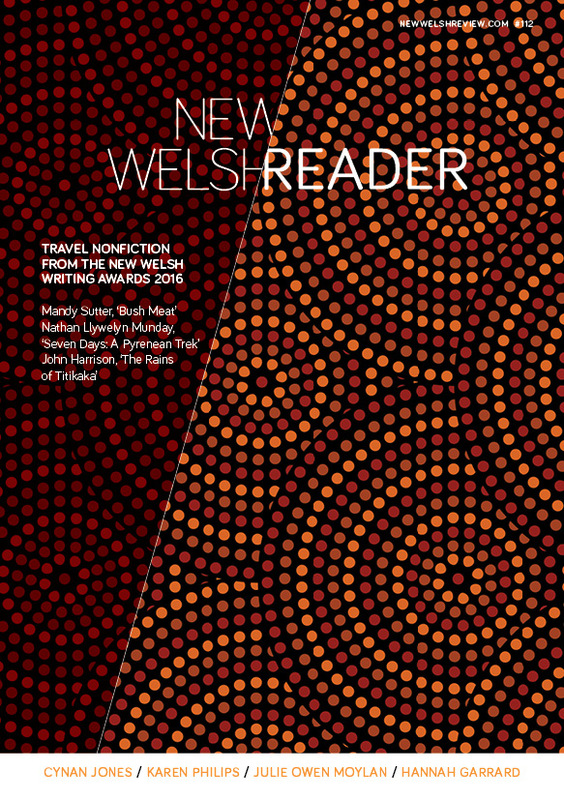 Philip Jones was runner-up in the New Welsh Writing Awards 2015, and his nature-science memoir piece for the competition, ‘Waves on the Hydrocarbon Seas of Titan’, will be excerpted in the magazine’s New Welsh Reader, published on 25 May.